The KMPS-3-64 is a 64 position pressure scanner with high accuracy digital output over either an RS-485 or Ethernet bus. There is an internal heater which keeps the internal temperature above freezing to avoid internal icing. An optional motor allows for digital control over the purge mechanism. The KMPS also features auto-zero capabilities. The KMPS-3-64 has a water resistant case ideal for outdoor testing. 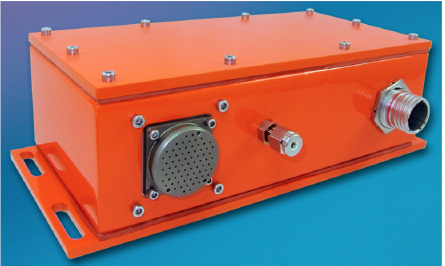 The KMPS-3-64 is ideally suited for the flight and ground test market. The Ethernet version features IEEE-1588 timing for precise correlation between multiple devices on the network. The pressure sensors are vibration and moisture resistant leading to extreme reliability. Modules with 16 sensors each are individually replaceable by the user. This allows for different pressure ranges and modes (differential and absolute) in the same scanner. For more information see the KMPS-3 manual (KM 8001).